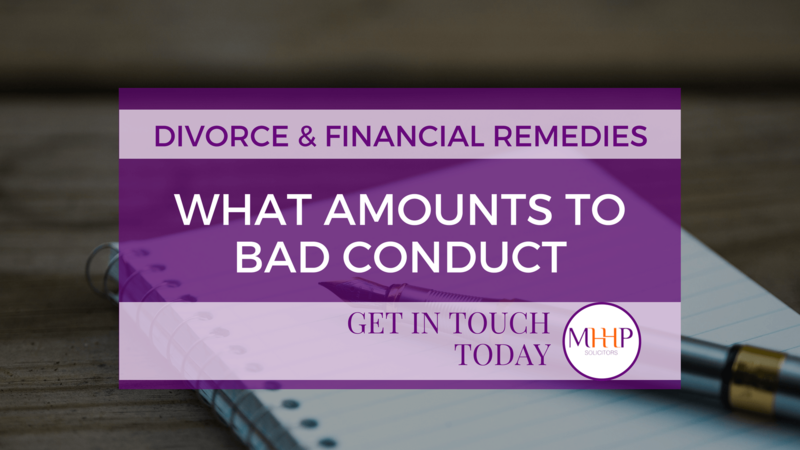 Divorce and Financial Remedies – What Amounts to Bad Conduct? One of the questions I am frequently asked by clients I act for in divorce and financial remedy cases is what type of behaviour amounts to bad conduct. When trying to resolve issues around the financial aspects following a marital breakdown, the first step is for both parties to provide full disclosure of their finances by exchanging a lengthy document called a Form E.